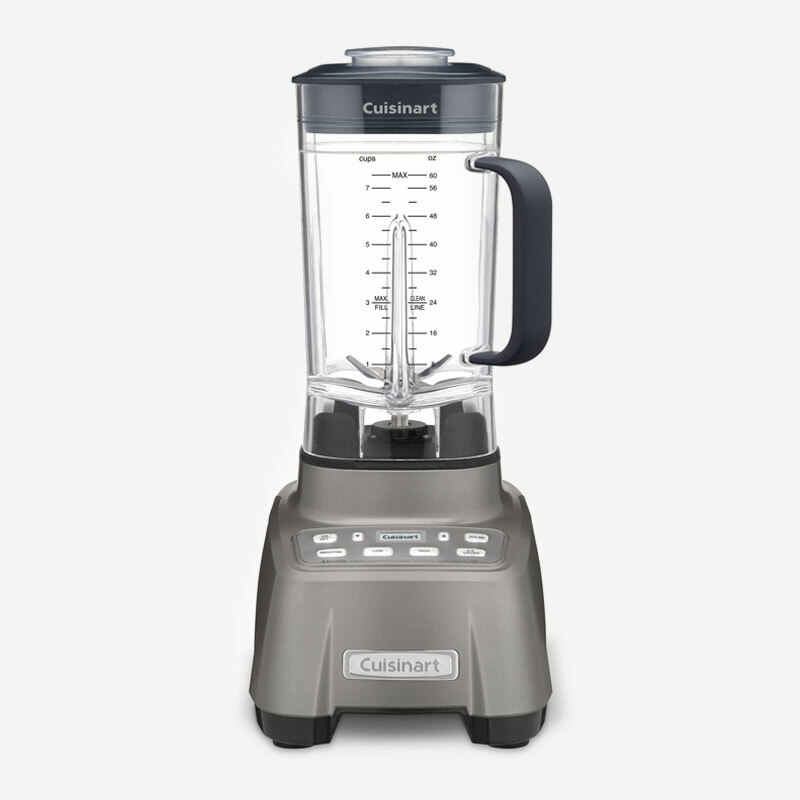 This Cuisinart® Hurricane™ blender is revved and ready to go. The professional power 2.25 peak HP motor handles even heavy pulverizing tasks with ease, and the double housing design keeps operation quiet. 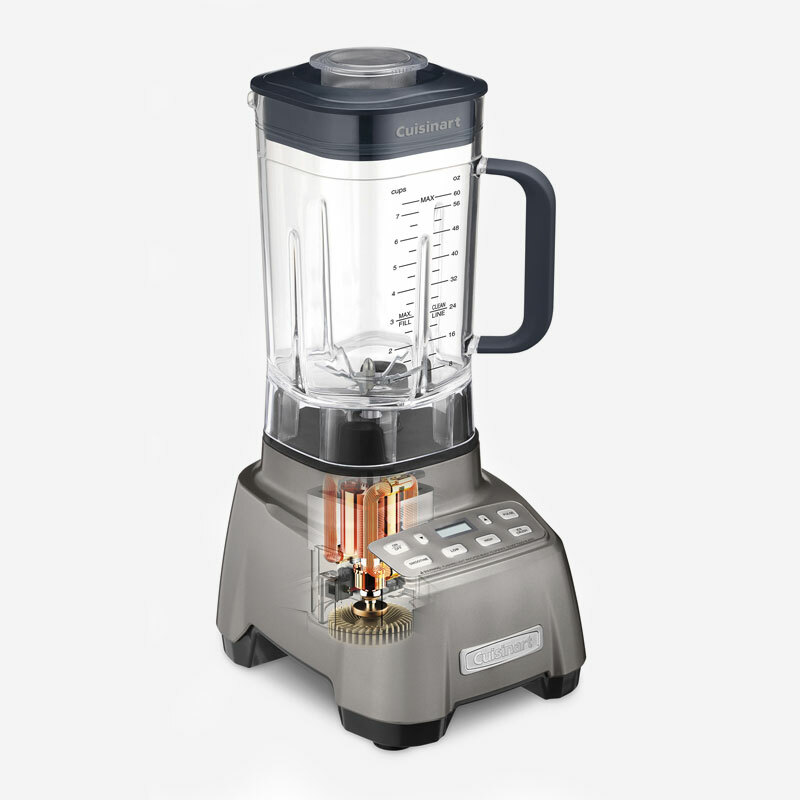 The 60-ounce (1.8L) BPA-free Tritan™ jar sits in a heavy duty plastic base and is uniquely designed for easy pouring, with a soft-touch handle for a secure grip. 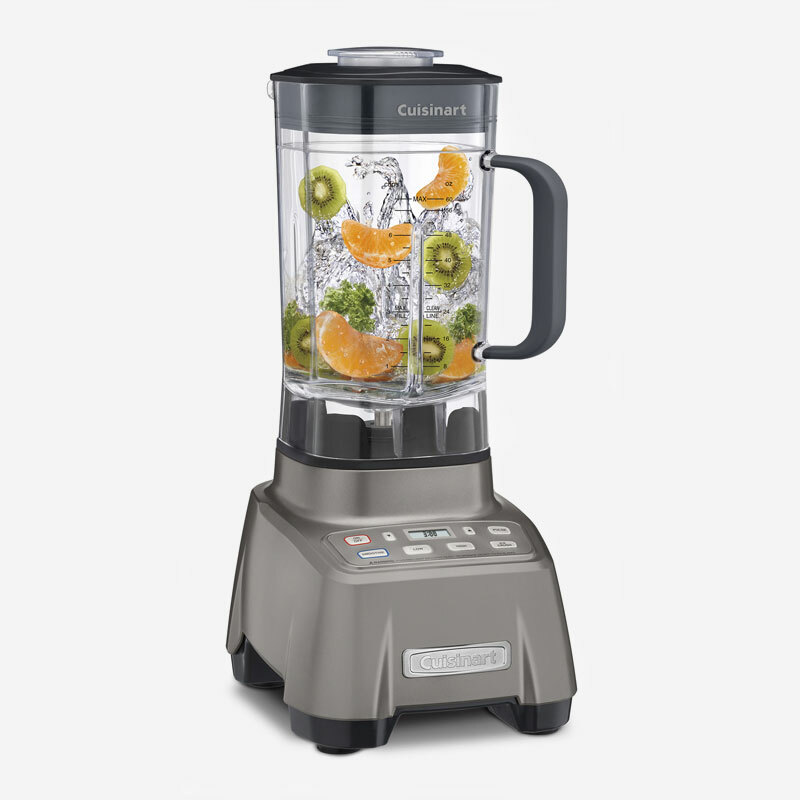 This blender operates at the touch of a button, with Low and High speeds, Pulse and preprogrammed Smoothie and Ice Crush options. 9.47" x 7.68" x 17.08"
11.22" x 9.44" x 16.33"